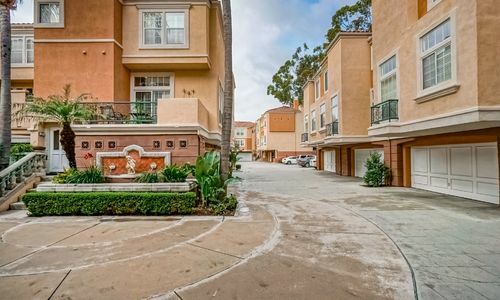 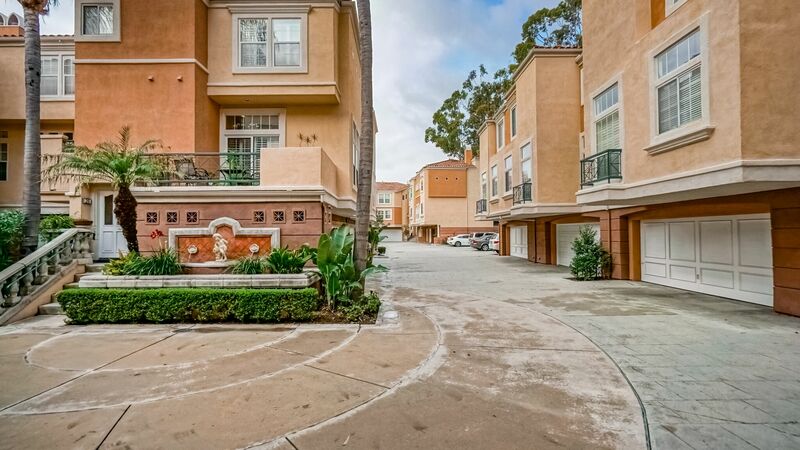 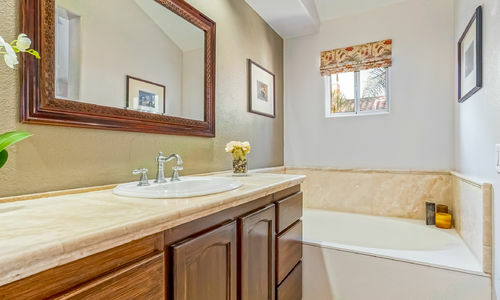 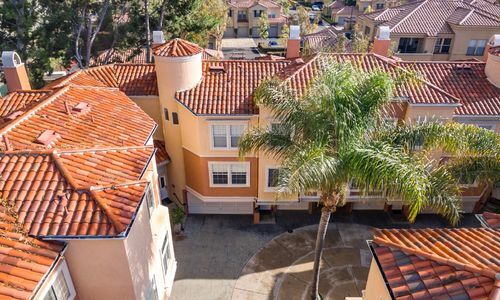 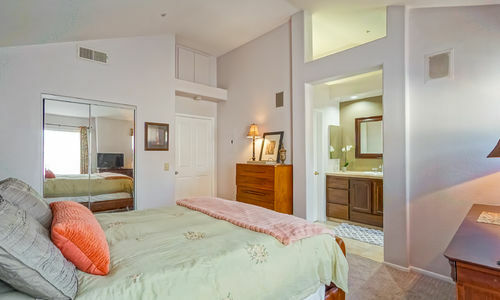 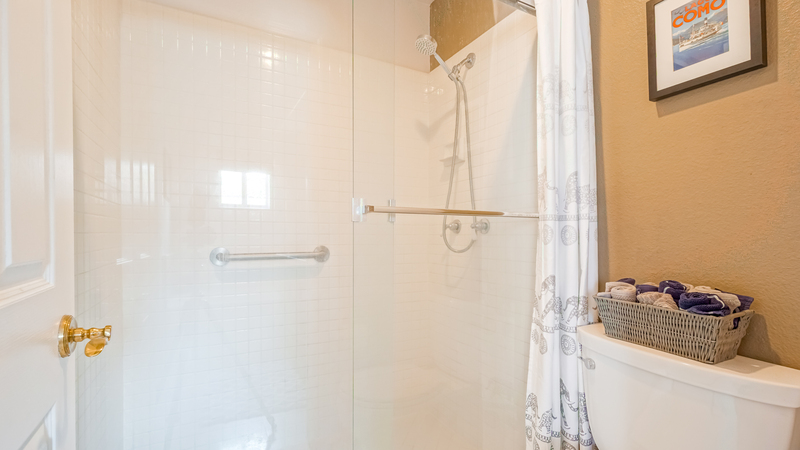 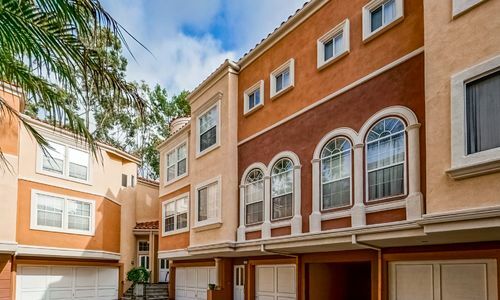 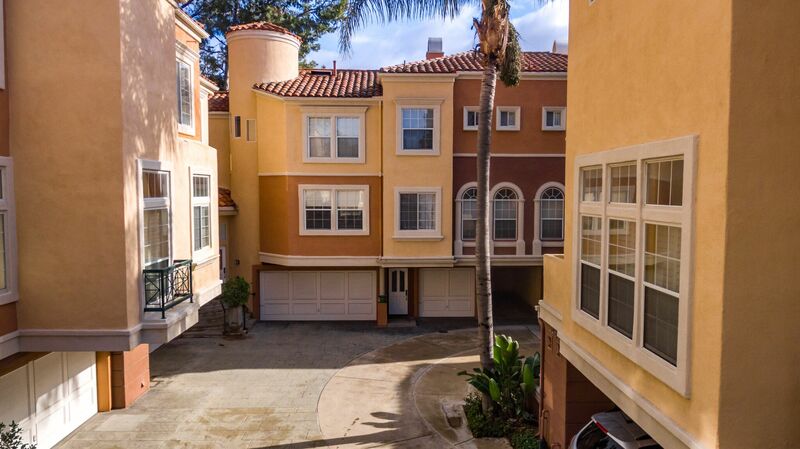 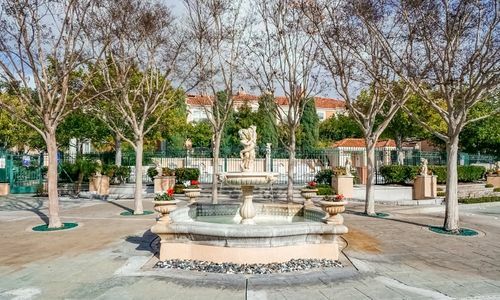 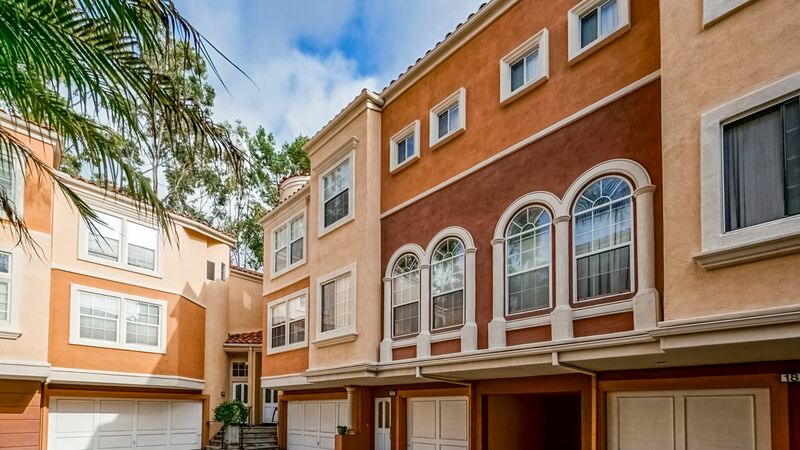 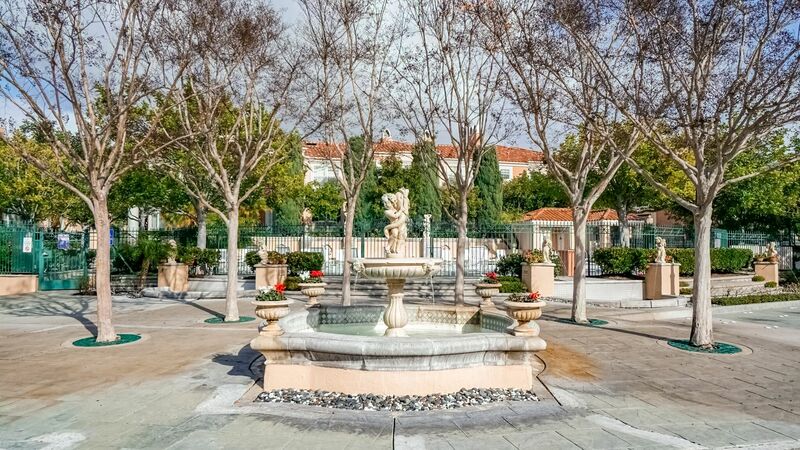 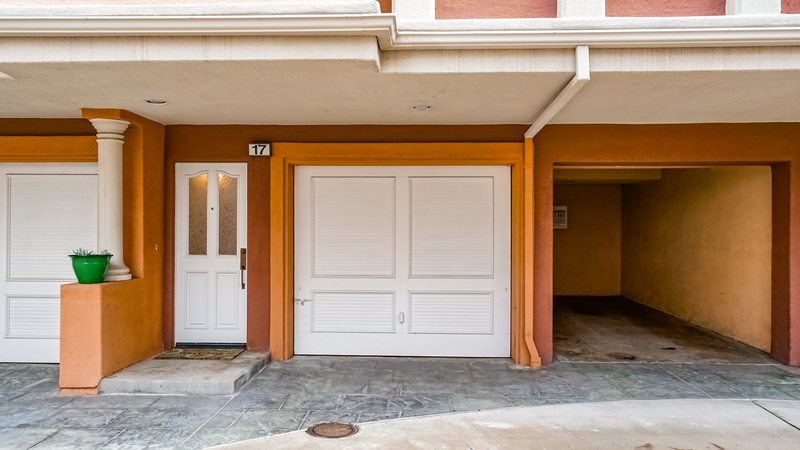 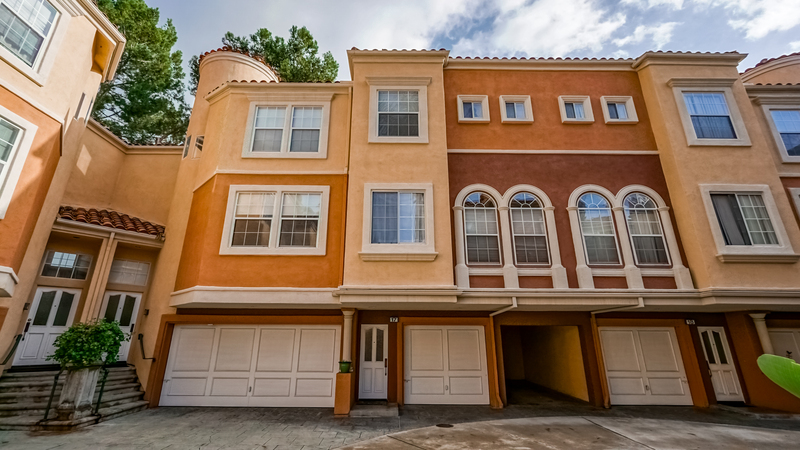 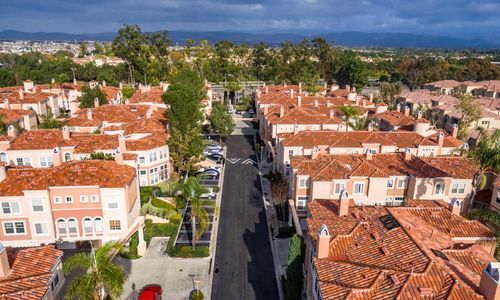 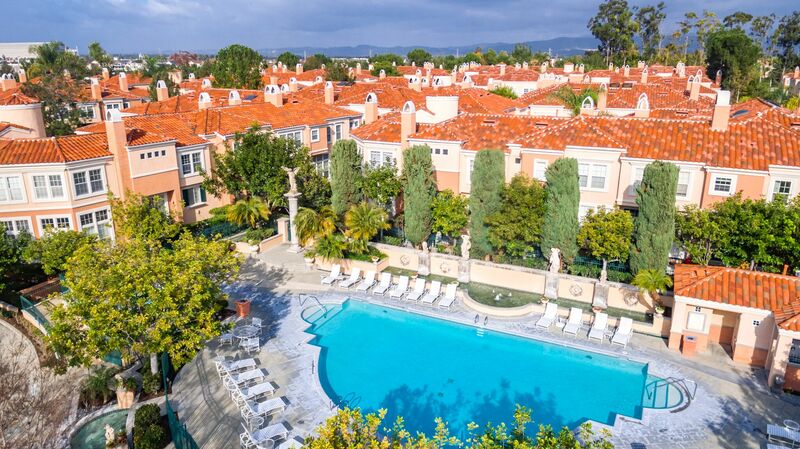 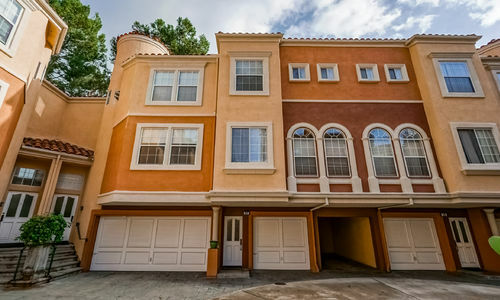 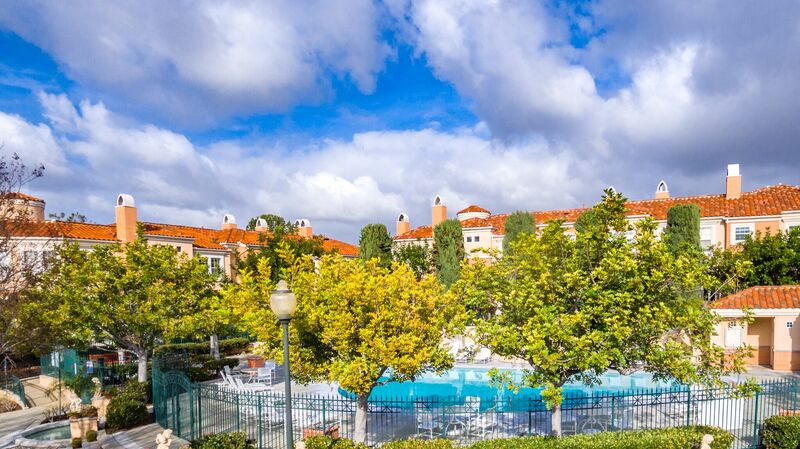 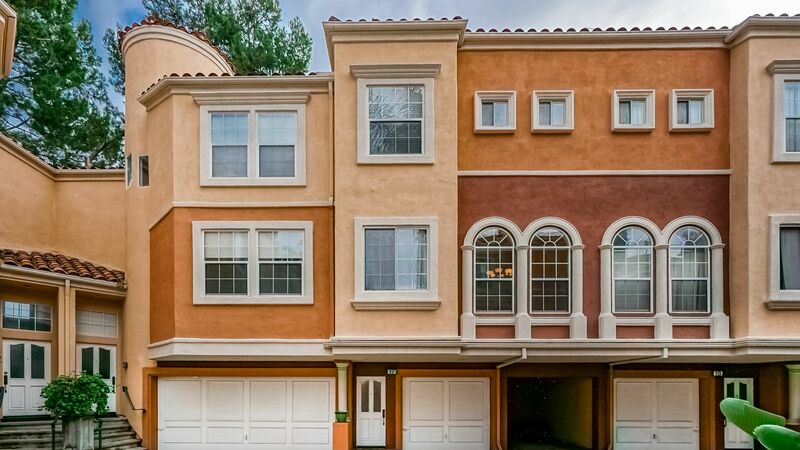 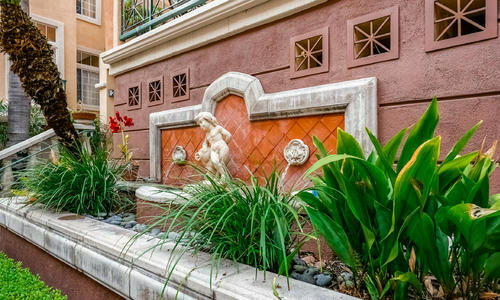 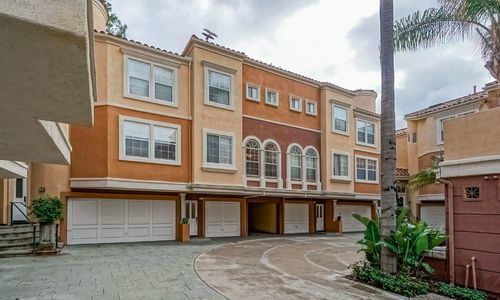 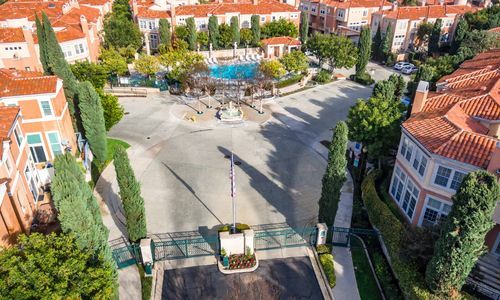 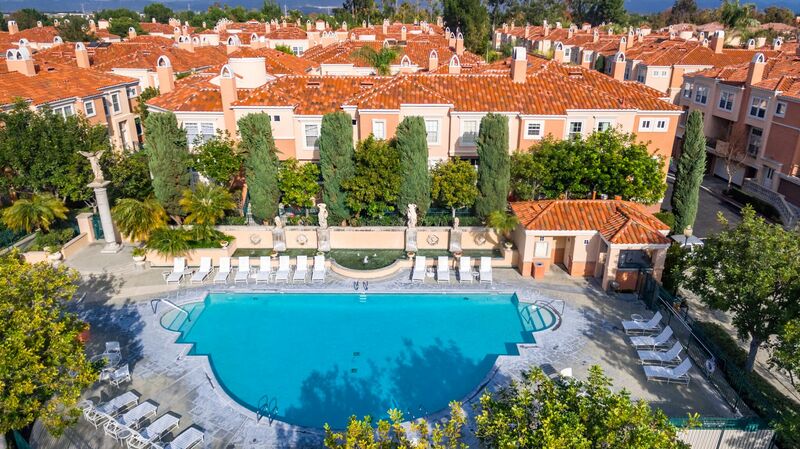 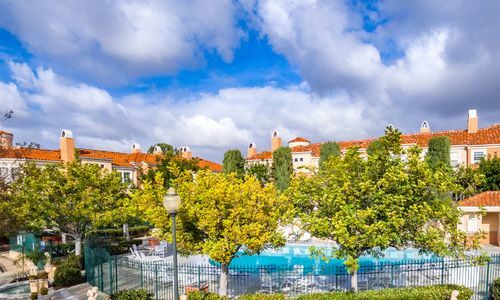 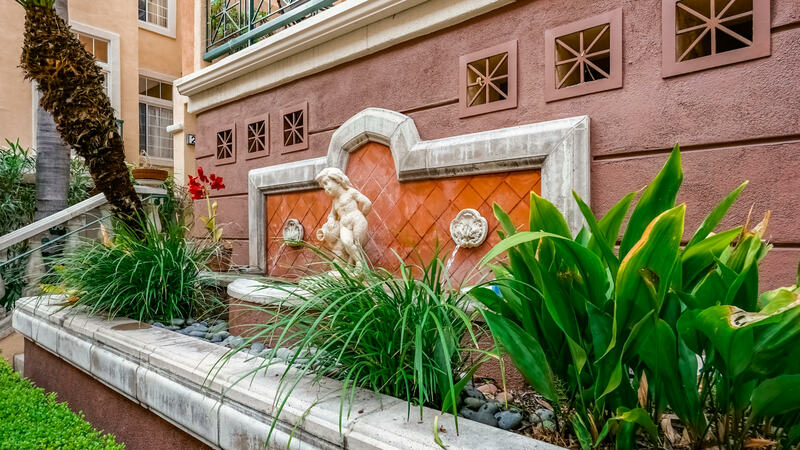 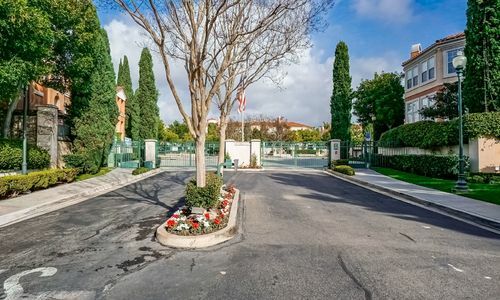 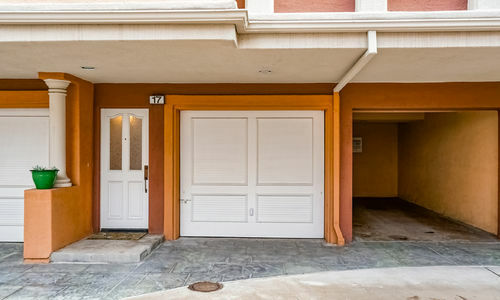 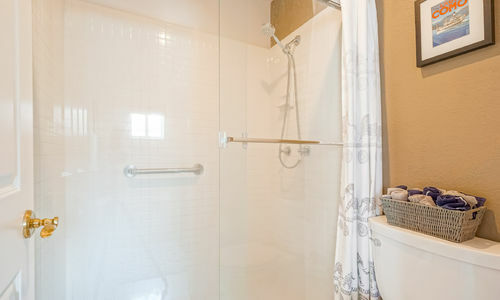 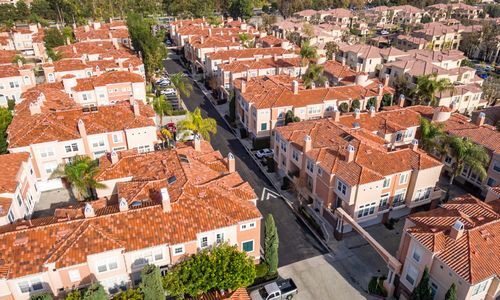 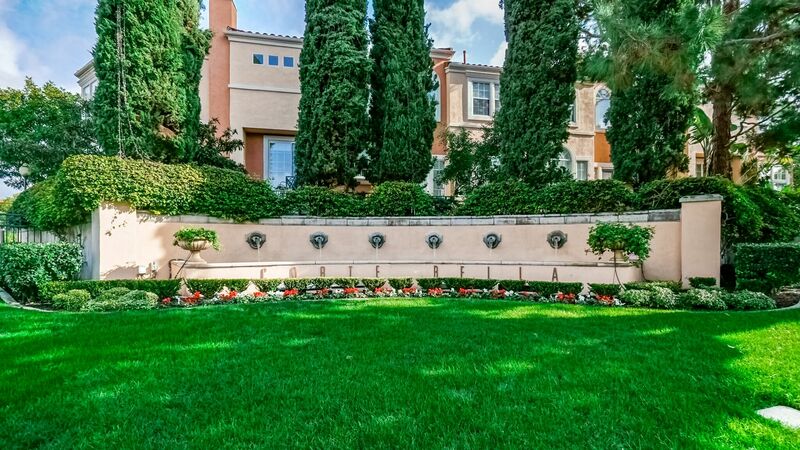 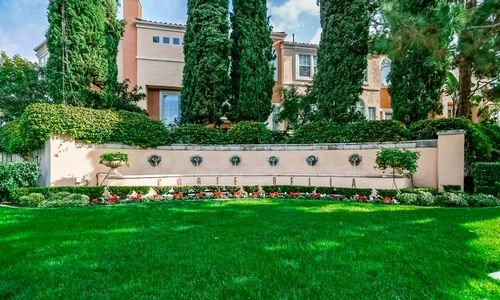 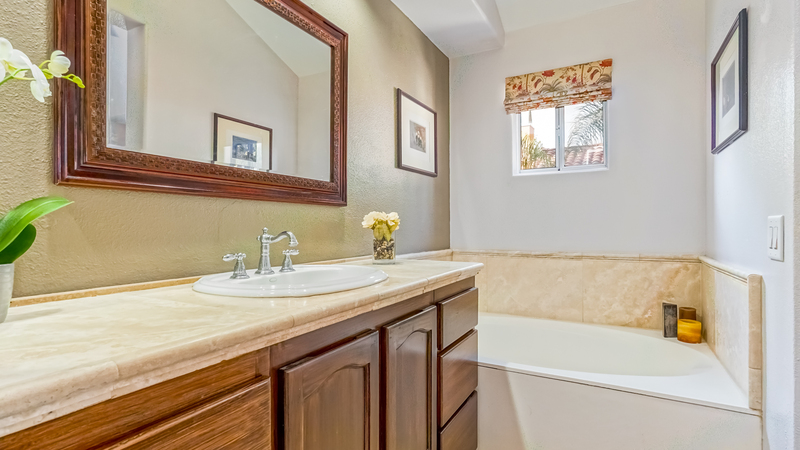 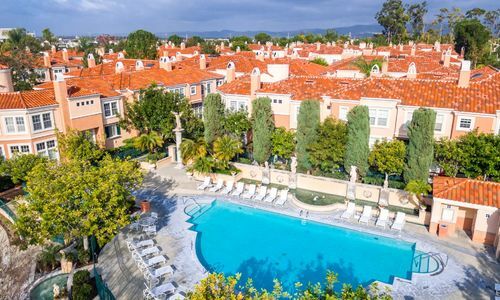 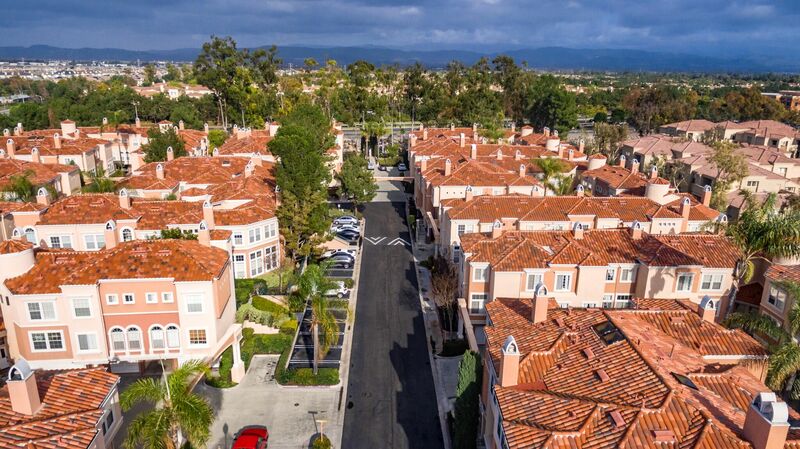 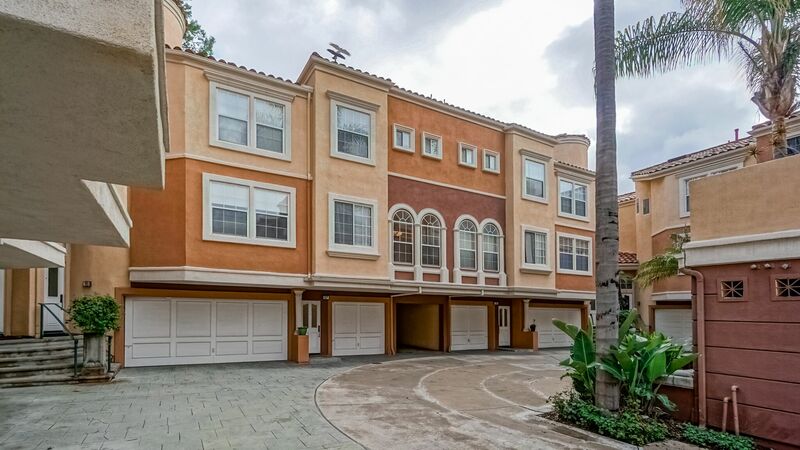 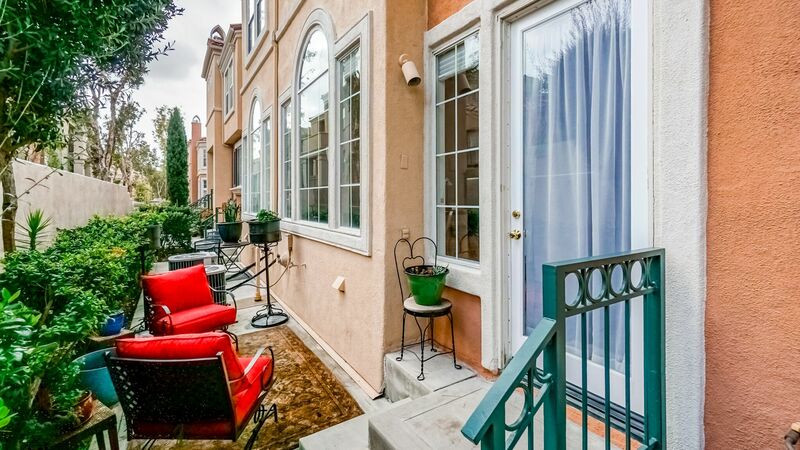 Elegant townhome located in the prestigious Westpark gated community of Corte Bella in Irvine. 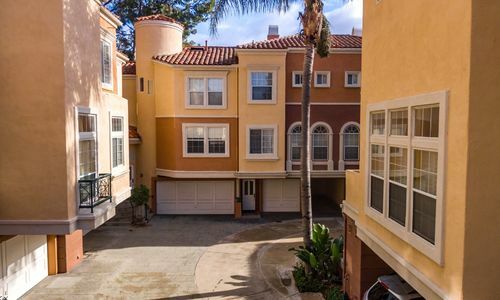 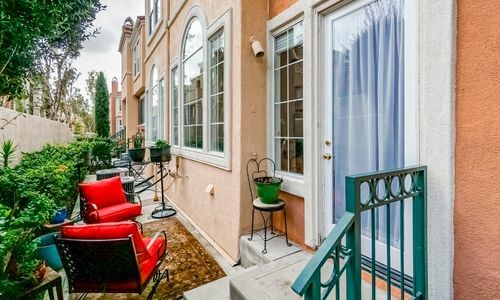 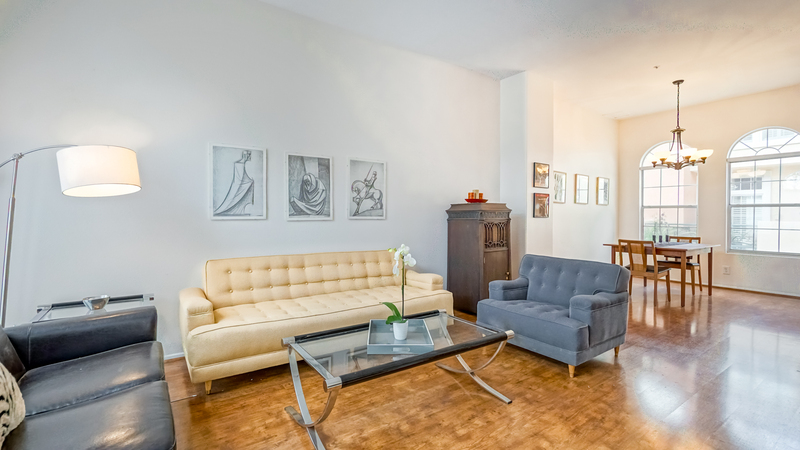 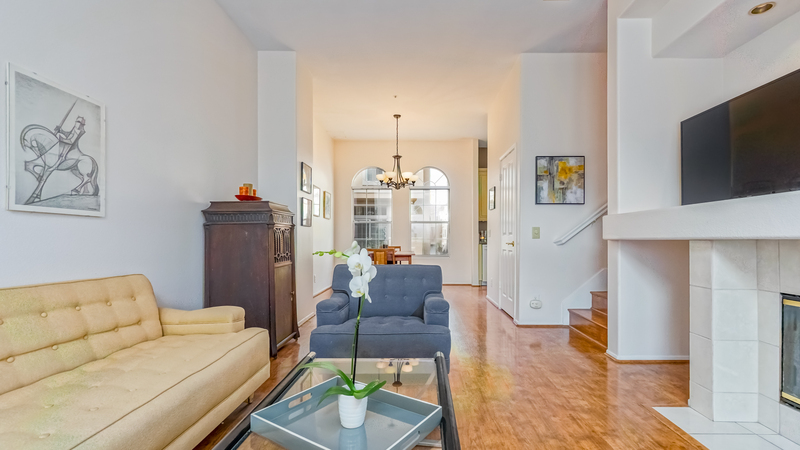 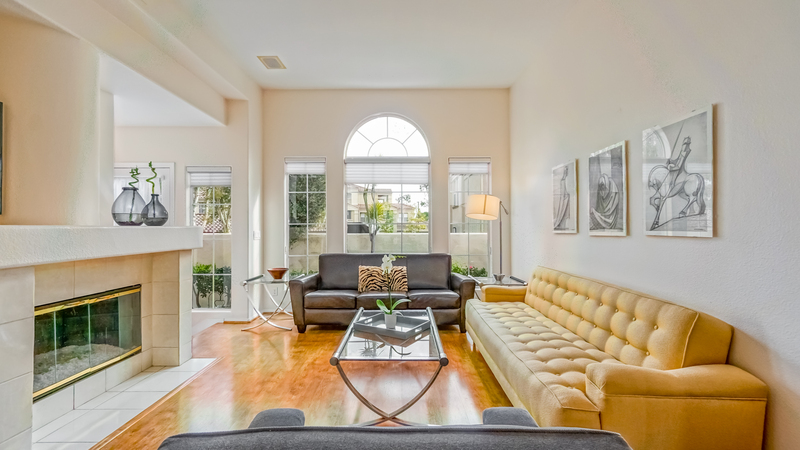 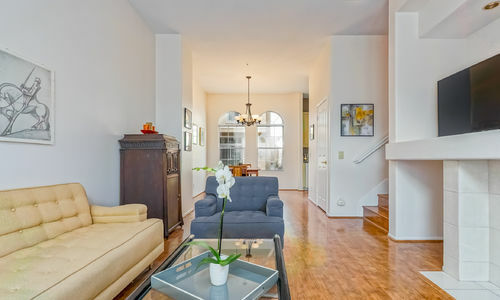 Featuring a tucked away location for privacy, this 1 bedroom + loft area for easy use as 2nd bedroom, 1.5 bathroom mediterranean inspired home offers the ultimate airy & open floorplan w/ an abundance of natural light & soaring ceilings. 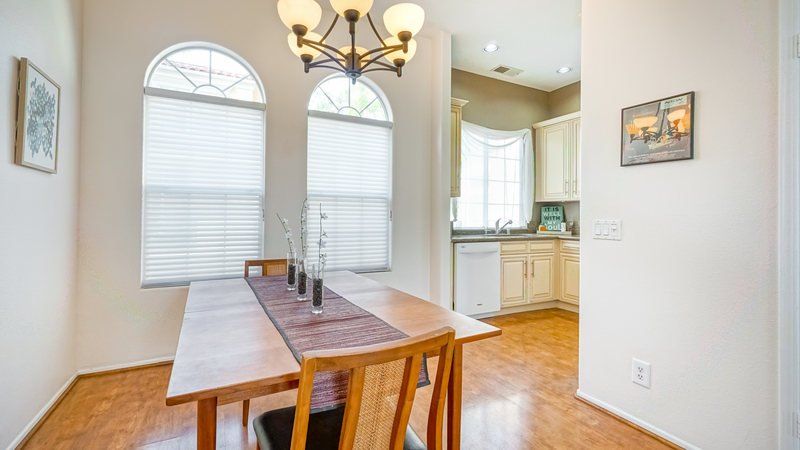 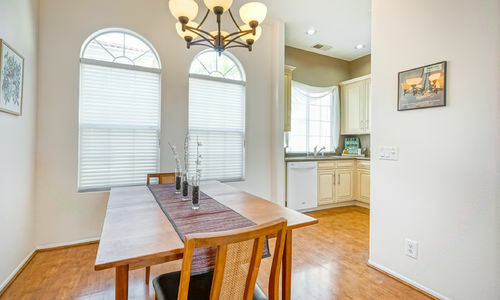 This highly desired home has gorgeous wood flooring throughout main level, designated dining room area & Gourmet kitchen w/ beautiful cabinetry & granite countertops as well as large pantry for extra storage. 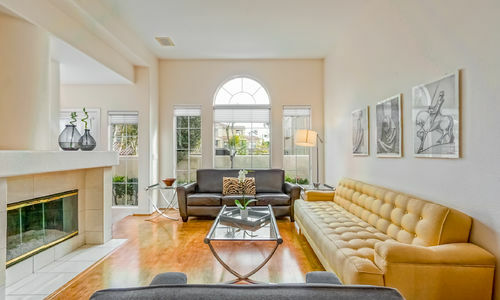 Main level living room features plenty of space for entertaining & a cozy Fire & Ice fireplace. 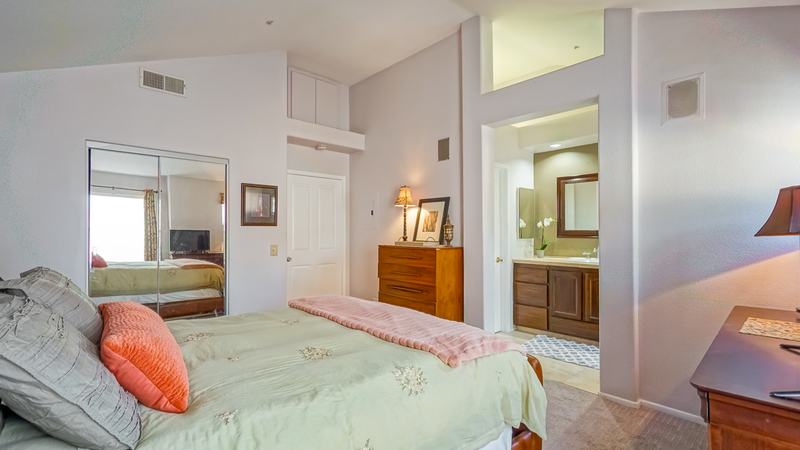 The upper level features open & spacious master suite complete w/ vaulted ceilings, large walk in closet & spacious master bathroom. 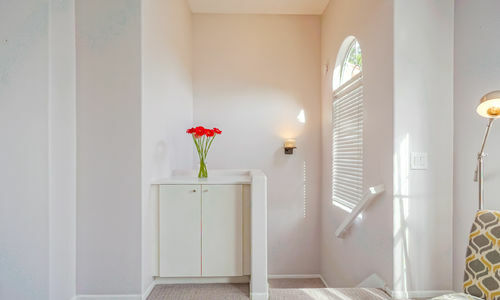 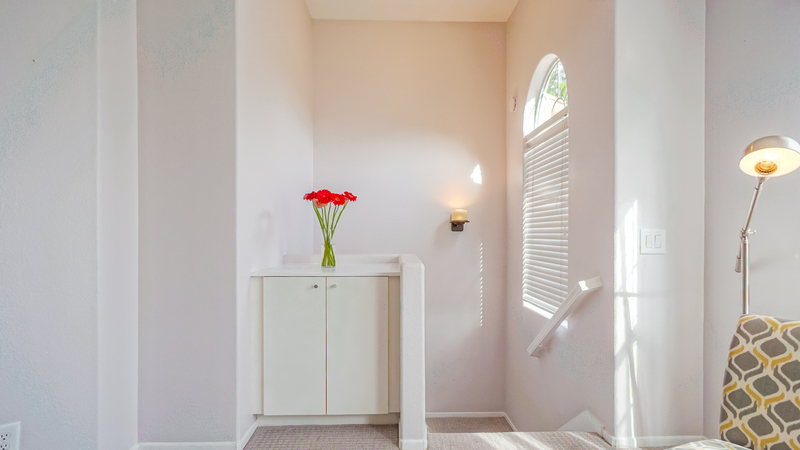 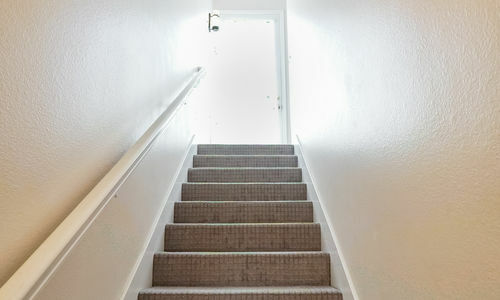 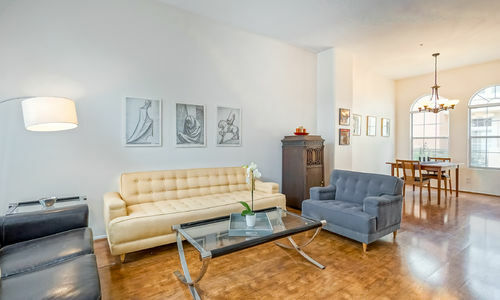 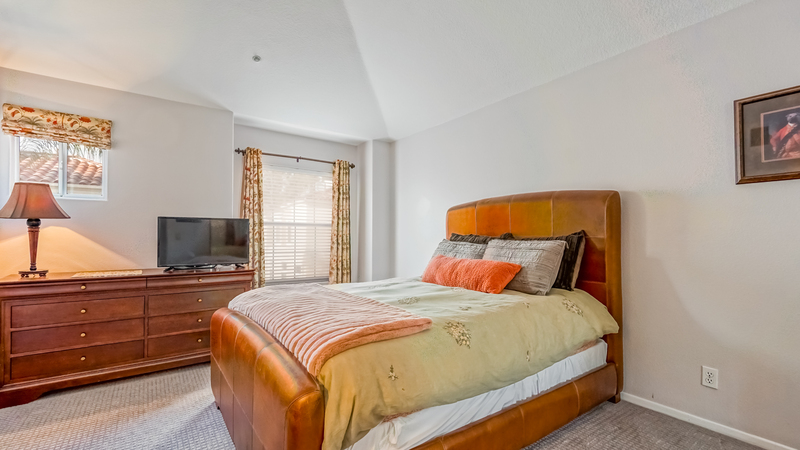 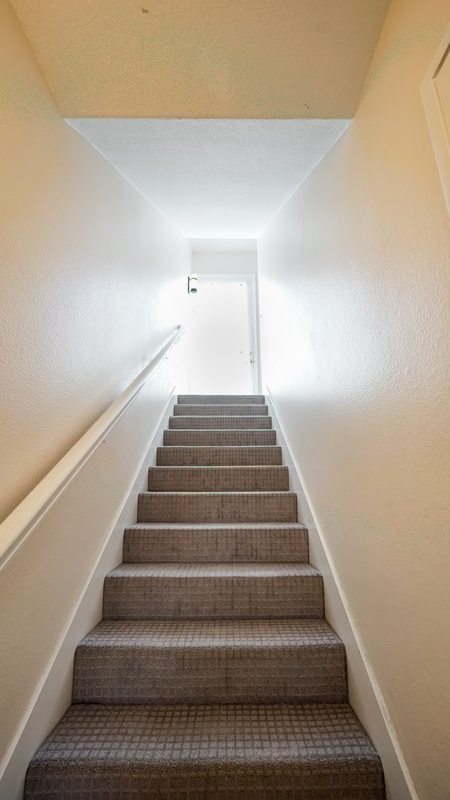 The light & bright loft is on the upper level & could be used as an office, den, playroom or guest room which includes a large closet space – the perfect accommodation for overnight guests. 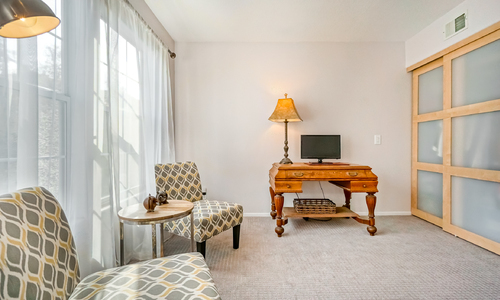 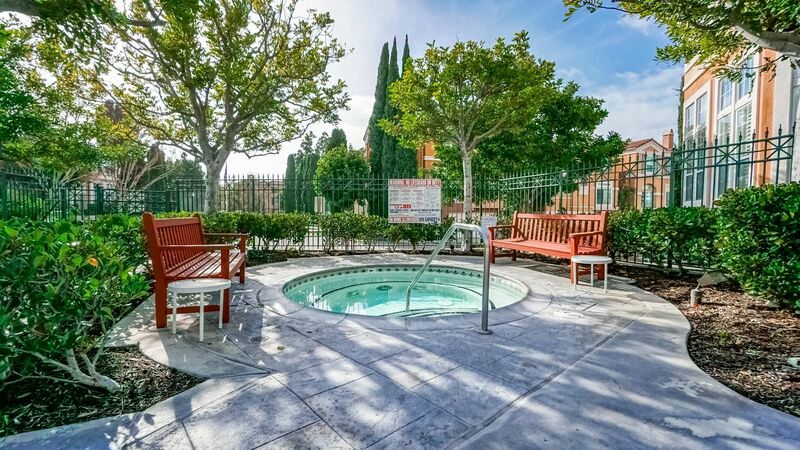 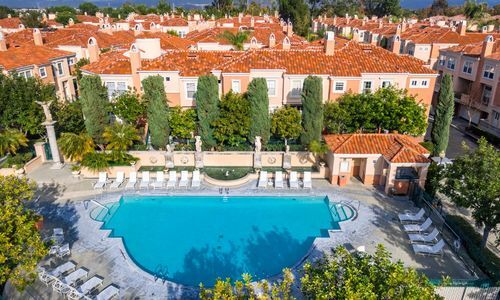 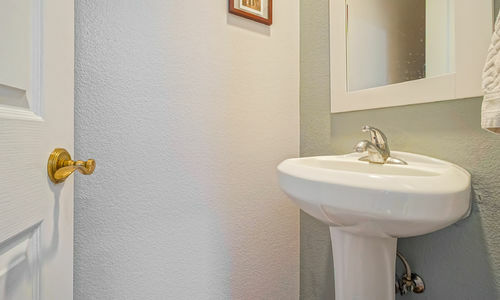 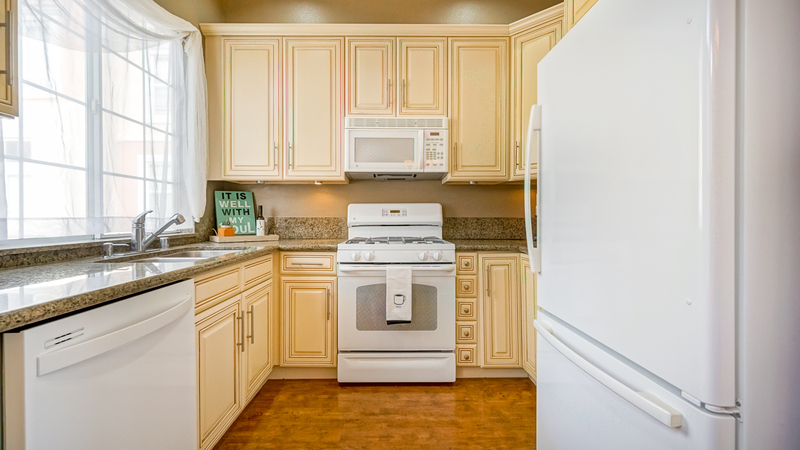 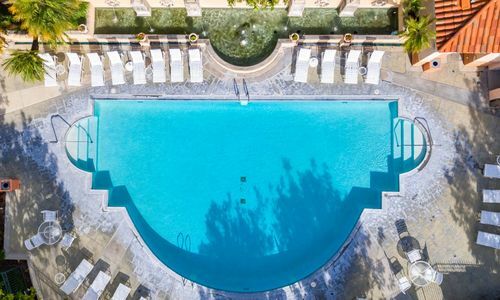 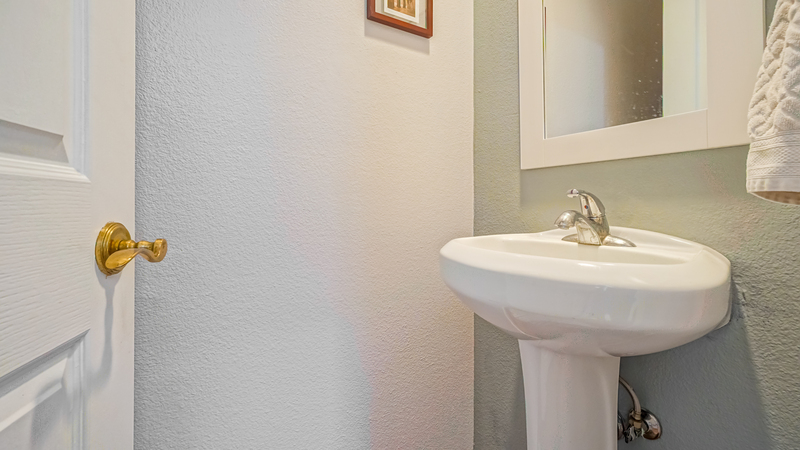 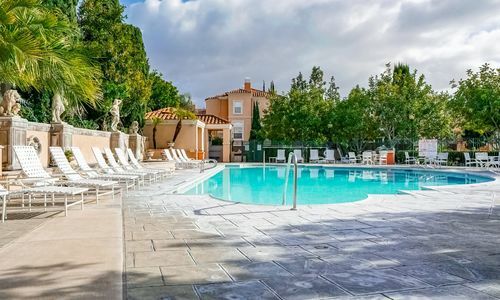 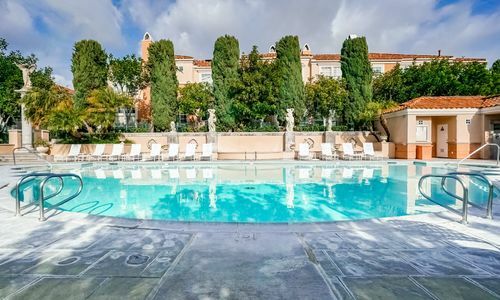 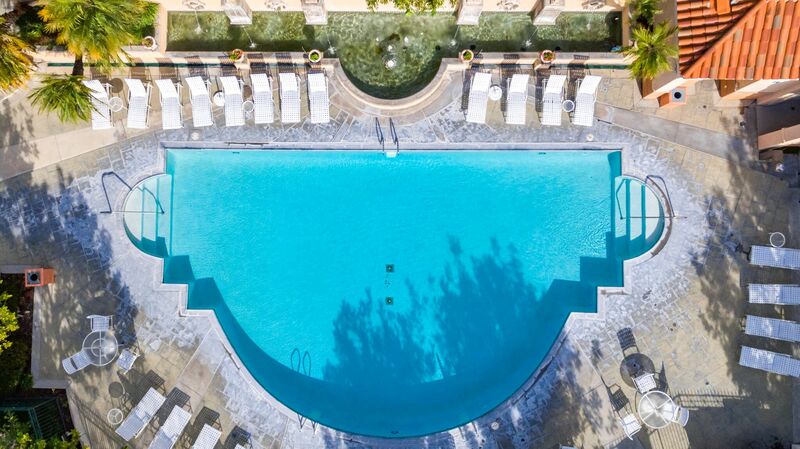 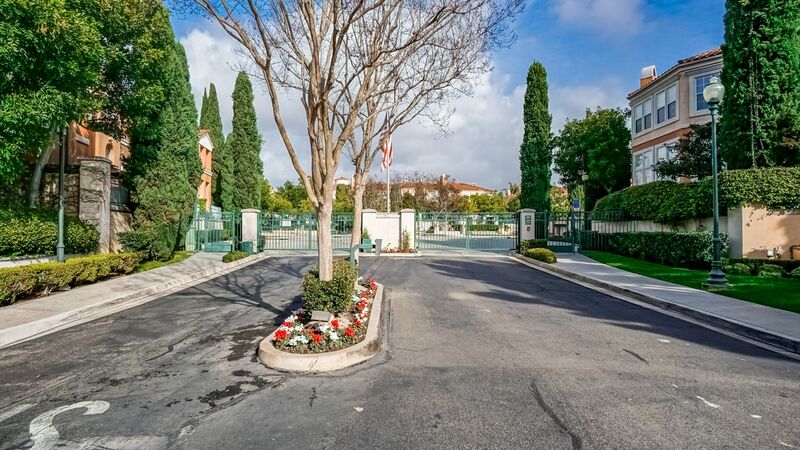 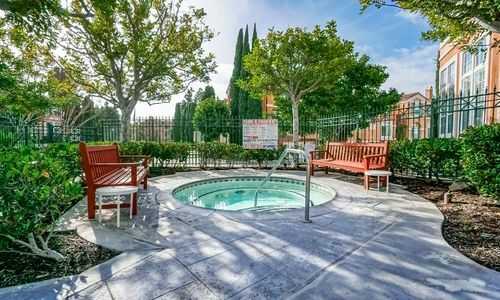 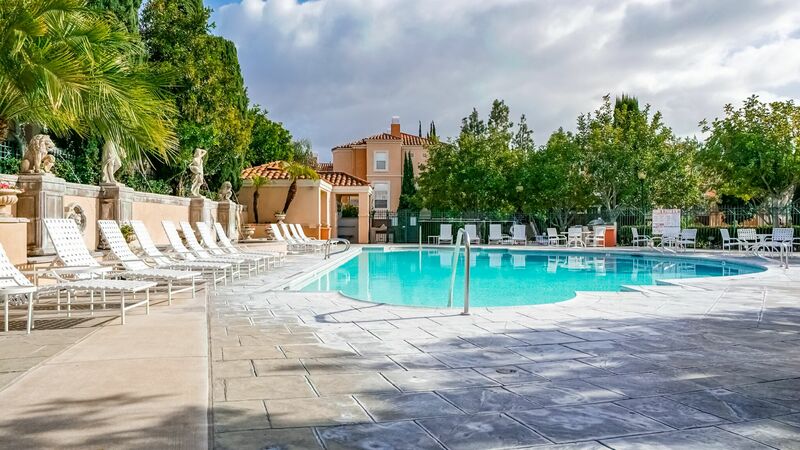 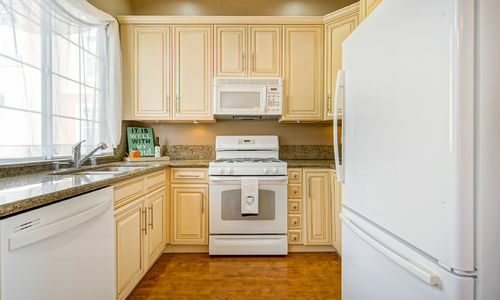 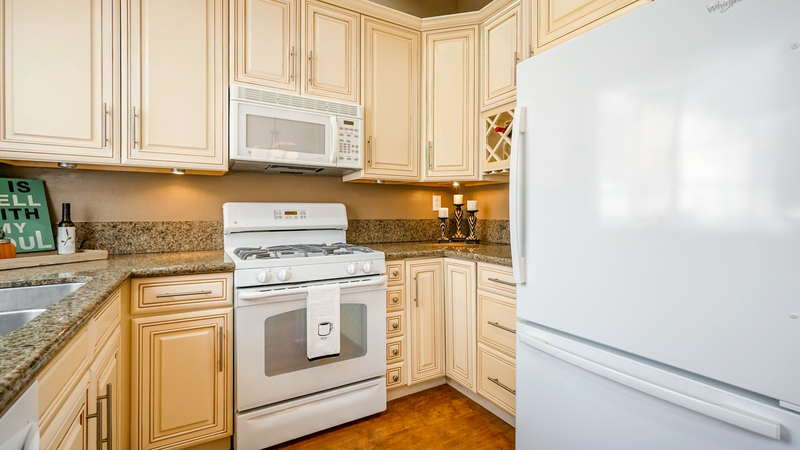 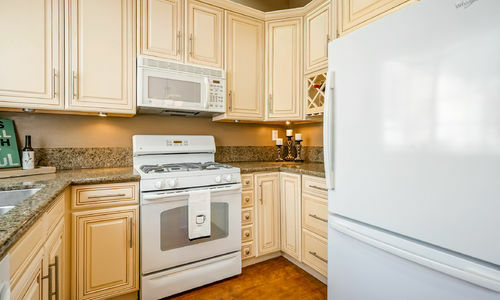 Numerous community amenities include sparkling pool & jacuzzi, ample guest parking, access to the beautiful Memorial Park – featuring a tennis court, basketball court, play set-up for kids, great covered areas for BBQ’ing & more! 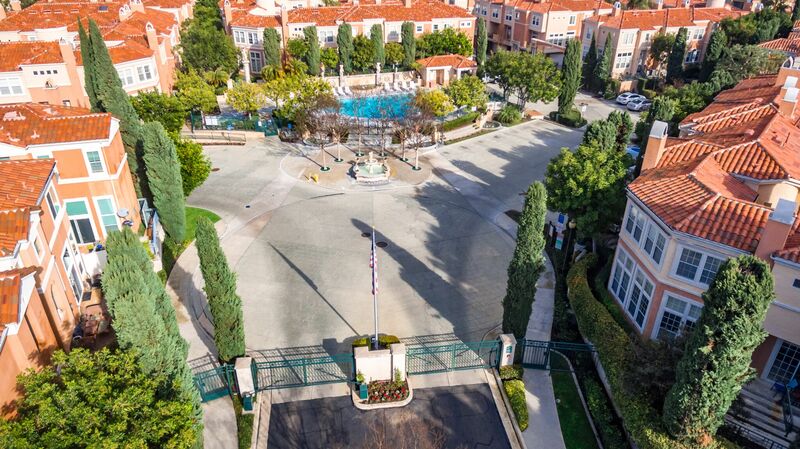 Being in the center of it all, this location is truly unbeatable! 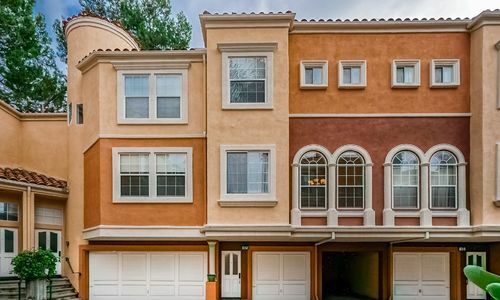 With close proximity to award winning schools & w/ shopping/entertainment/restaurants such as Target, Sprouts & movie theater – to name a few, only moments from your front door.. you do not want to miss out on this exceptional home!